The handmade wood Low Tokyo Bed Frame is an elegant and stunning low bed frame design that is perfect for master bedrooms. It features a minimalist design that includes a headboard for more support and comfort while keeping to its low nature. The sleek design of this low wood bed frame makes it an ideal choice for places where there’s a lower or restrictive ceiling height. Like all of our wood bed frames, the Low Tokyo Bed Frame is made from Solid Scandinavian Pine and is handmade in Britain by our experienced team of craftsmen. 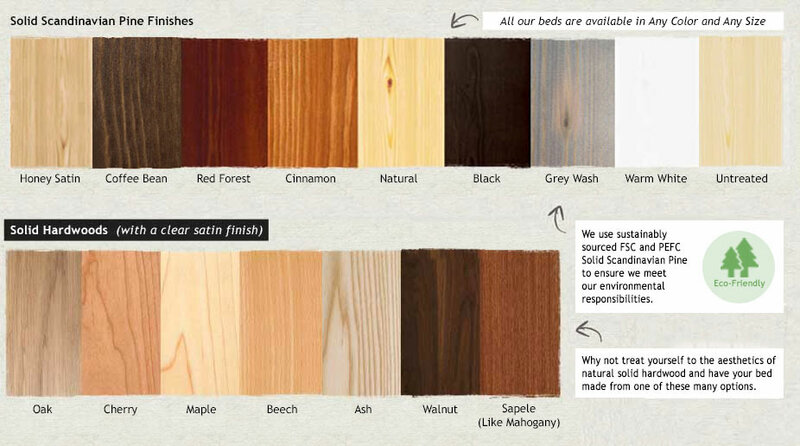 Why Choose A Low Tokyo Wood Bed Frame? The minimalistic design of the Tokyo low bed frame is great for making bedrooms appear more spacious. 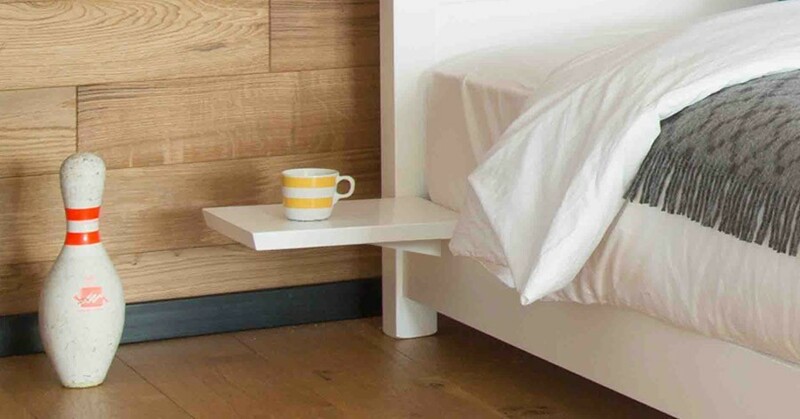 It also provides an excellent solution to restrictive or low ceiling bedrooms as the low nature of the bed frame makes it an ideal choice to fit in tight areas. The design also takes inspiration from the Japanese near-floor sleeping which has become increasingly popular. 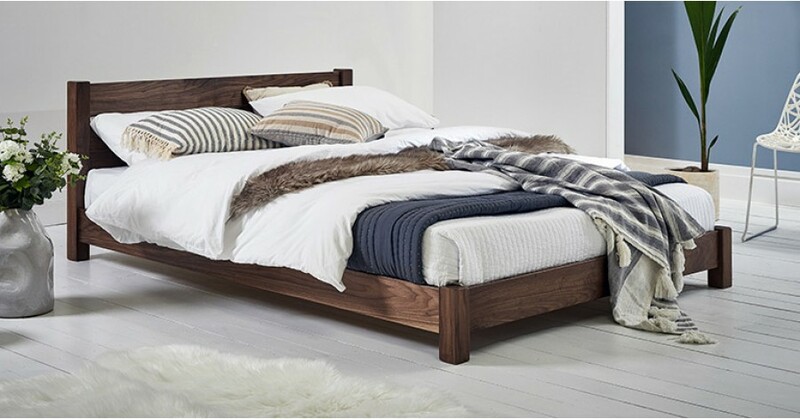 With all our beds, they are made with the highest quality timber, and expertly made by our craftsmen with time-tested techniques, such as mortise and tenon joints for a durable and quality wood bed frame. We are so confident in our craftsmanship, that as standard, all our wood beds come with an 11-year structural guarantee as standard. 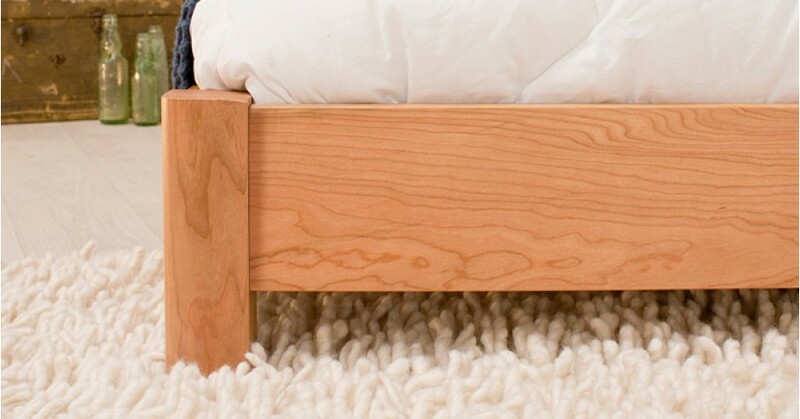 We handmake all our wood bed frames to order, we’re able to offer a variety of different custom options. You can choose from a vast range of color finishes for the Solid Scandinavian Pine, including such finishes as sleek white, classic grey, smooth black and natural sandy, which are popular amongst some of our customers. We also offer a range of hardwood options, including Oak, Walnut and Ash that are just some of the choices of hardwoods we offer. If you’d like to make changes to your bed, such as altering the design or bespoke size, this is all made possible by our bespoke customisation service. This allows you to truly personalized your wood bed frame, so you can get that perfect bed for you and your bedroom decor. The wood Low Tokyo Bed is one of our popular low bed frame designs which takes elements from similar designs. If you’re looking for a smaller headboard, look no further than our Low Oriental Bed. If you’re looking to save some extra space as well as a smaller headboard, then the Low Oriental Bed (Space Saving) is certainly the one for you, and goes perfectly with loft conversions and attic bedrooms. If you enjoy the design of the Low Tokyo Bed Frame but need to make the most out of space in your bedroom, then the Low Tokyo Bed (Space Saving) is the option is perfect for you. Please note: Bedding is not included with the Low Tokyo Bed Frame.